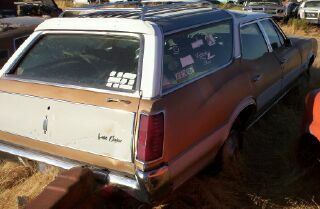 This gold 1970 Oldsmobile Vista Cruiser is a good straight solid complete station wagon ready to be restored or customized. The body is straight and solid. The grill and bumpers are good. All the exterior trim is there. All the glass is good. The interior is all there. The motor and transmission are gone. 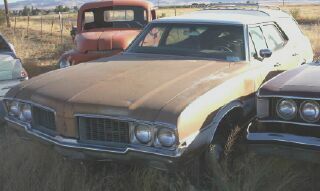 This would make an excellent restoration project with an updated motor and transmission. Please call (406) 318-0270 for details about this restorable classic project car.